Texas Population, 2010 U.S. Census. Each dot equals 100 persons, census block level. 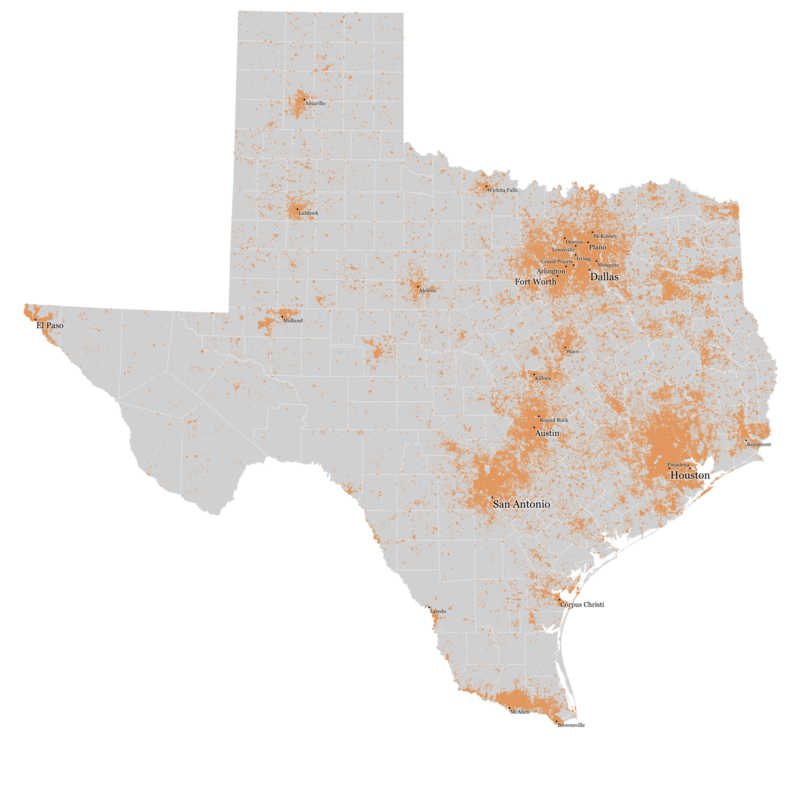 Texas Population, 2010 U.S. Census. Each dot equals 10 persons, census block level. Texas Population, 2010 U.S. Census. Each dot equals 1 person, census block level. Continuing my tinkering with dot density maps. 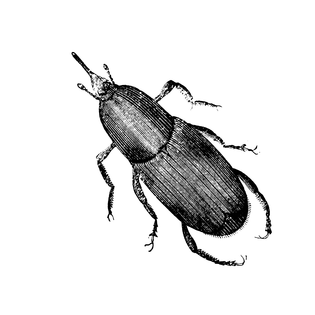 Rendered using home-rolled Python scripts. Vector graphics via Python bindings for Cairo, spatial data munging via Python bindings for OGR plus Shapely, and labels typeset using Python bindings for Pango and PangoCairo. Base layer county data and city points are from Texas Parks and Wildlife GIS data.